Accordingly, we are asking you to help us continue the fight for justice, to support us in our quest to obtain these transcripts which may help to further highlight potentially illicit activity at HBOS. We need as many people as possible to donate £1 (or more) to our PayPal http://www.paypal.com account info@unfairpak.co.uk in order to obtain the transcripts and give us a fighting fund to investigate HBOS’s role further. We might even be able to get legal advice on how to proceed. We will keep a running account of what is received and how it is disbursed, on the Unfairpak site http://www.unfairpak.co.uk/ . It is crucial to the future of UK banking that all the 'baggage' about HBOS is exposed, dealt with appropriately and that such behaviour is banished from the UK financial system before we become a laughing stock. Of all the HBOS scandals, this may not have been the biggest but it was certainly one of the shoddiest. One wonders if the HBOS bosses enjoyed their Christmas dinners in 2006? Even Scrooge may have found this one a step too far? Positively "ill founded and misconceived.”...Paul Turner 17th August 2012. Unfairpak would also like to bring to your attention the fact that we are aiding Crown Currency Exchange victims in their fight. Approximately 13,000 have had around £20 million taken from them and are currently stuck in limbo due to no news coming out from liquidator, Duff & Phelps and also due to police involvement. However, again, in this case, Barclays knew fine well from May 2010 that Crown Currency Exchange were in trouble yet continued to accept monies instead of “exiting” its relationship with Crown Currency Exchange despite having “serious concerns” about the “viability” of Crown Currency Exchange in May. 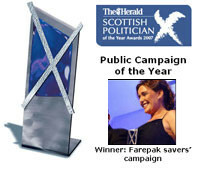 Unfairpak shall be writing to the Treasury Select Committee and FSA regarding HBOS and shall be urging Crown Currency Exchange victims to do the same. Obviously, Mr Paul Moore is referring mostly to HBOS but as we are all so clearly aware, the whole UK banking system has to be looked at as a whole as there are scandals appearing left, right and centre practically every single week. P.S. I know that I am not your constituent but I am the voice of Unfairpak many of whom will be your constituents. Unfairpak have also stated we shall help Crown Currency Exchange Action Group and they shall follow up with an email to their respective MP's and MSP's. Please support our Appeal and give it the attention that it so duly deserves. I have been bulk emailing and reached my quota on Unfairpak mail. Got as far as the G's in Westminster. Shall start emailing again tomorrow. HI ALL ,HAS ANYONE RECEIVED THIER CHEQUE YET ? :? : HI ALL ,HAS ANYONE RECEIVED THIER CHEQUE YET ? Cheques are being printed. I hope to have up to date information by Friday at the latest and will of course keep everyone informed.